Home Uncategorized Why is the USA Rushing Headlong into Environmental Armageddon? This partial list of manmade environmental disasters has two common denominators. All of these crimes against the people and the environment were as avoidable as they were the result of reckless corporate behavior and governmental complicity. First of all, are these environmental disasters LIHOPs of MIHOPs? This is a critical question, which MUST be correctly answered. 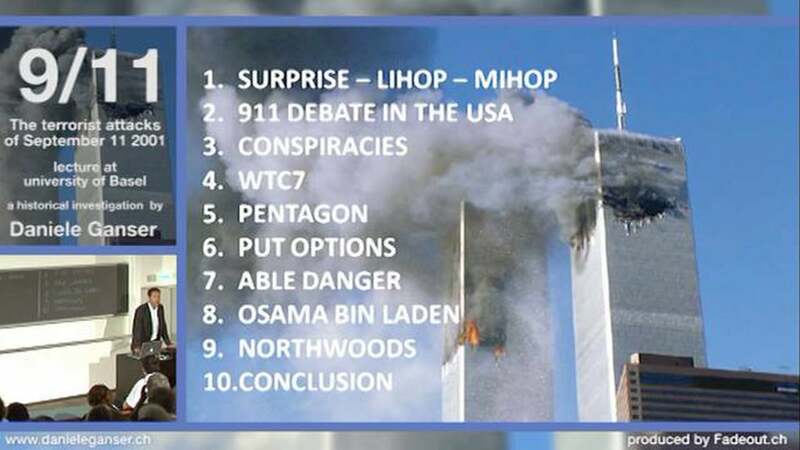 These phrases were first used when the 9/11 truth movement attempted to understand what really happened on 9/11. A LIHOP is a catastrophic event which was allowed to happen on purpose. A MIHOP is a catastrophic event that was made to happen on purpose. Now take a closer look at the list of disasters above. If you’re not familiar with any of these, check them out on Wikipedia. Look at the evolution of each of them. confluence of circumstances, which greatly increased the chances of a disaster occurring, was practically nursed along by a combination of conspicuous corporate recklessness and overt government malfeasance. The bottom line here is that each of the disasters noted above constitutes an historic failure of government that occurred in tandem with an egregious corporate crime-spree. On the face of it each of them was undoubtedly a LIHOP, especially those which transpired over years or decades. How could they possibly not be LIHOPs? However, the much more disconcerting scenario is that many of them are now deemed by many investigative journalists and armchair researchers to actually be MIHOPs. In other word, they were surreptitiously planned out and fastidiously engineered over years, if not decades. Then, at a specifically selected times, these stunning events were triggered to manifest as a full-blown and shocking environmental catastrophe. True, it’s quite difficult for anyone to wrap their mind around the possibility that the aforementioned calamitous events were actually planned in advance and then implemented in a manner that they would appear to be innocent accidents. However, when the timing of each of these ongoing events is closely scrutinized, there emerges a clear pattern of deliberate distraction and diversion associated with each of them. These overwhelming events are not only used to purposefully distract the American people, they are also used to traumatize a locale … or a city … or a state … or a region of the country. When utilized in the way, these manmade disasters are referred to as deliberate acts of environmental terrorism. Everything points to the likelihood that environmental terrorism is the wave of the future. The world already knows that the War on Terror is nothing but a massive hoax perpetrated by the globalist cabal to scare the people of the world into a New World Order (NWO). In this fashion a One World Government (OWG) can be established in order to serve as the new protector of peoples everywhere. Given the many revelations about how the US, UK, Turkey, Saudi Arabia and Israel conspired to fabricate ISIS, brand ISIL as a phony caliphate and establish a fake Islamic State in the Middle East, terrorism is now losing its edge. The entire Greater Israel Project has been brilliantly exposed by Putin’s Russia for the imperialistic enterprise that it truly is. Hence, the manufactured terrorism which has been methodically executed throughout the Levant is now seen as the handiwork of the Western powers. Likewise, virtually every terrorist attack or other terror event which occur across the planet are also perpetrated by the same NWO cabal. With the awakening of the mass consciousness to these grim realities, terrorism is no longer as efficacious as it once was. The world community of nations is now wise to the NWO scam. The nations are especially wary of giving up their sovereignty to a One World Government that would operate as a veritable Big Brother. They know that the OWG would transform the whole planetary civilization into an Orwellian world where “1984” meets the “Brave New World” and the “Lord of the Flies”. Nonetheless, violent terrorism in its current form will see its final end now that the War on Terror has been laid bare as an Anglo-American conspiracy to dominate the world. The Anglo-American Axis has likewise been exposed as a political, military and economic construct designed to advance the NWO goals. The eastern half of the planetary civilization, especially the BRICS nations, has now so left the NWO reservation and will not bend to the dictates coming out of Washington and London. This is why environmental terrorism has seen such a drastic uptick. Since 2010 the number and seriousness of environmental incidents have increased precipitously. The ensuing threats to public health have likewise increased around the globe. There’s not a week that goes by when a major catastrophe does not occur on a continent or in a country somewhere. Because the USA is being used as the poster child of environmental terrorism, many of these engineered events are taking place within the 50 states. California, in particular, is being used to advance this ever-intensifying type of terrorism. The BP Gulf oil spill is a perfect example of how so many things went wrong that it is inconceivable that it was an accident. Albeit, it certainly appeared as one throughout the entire event. For many of us who worked closely on that spill, it was clear that there was something wrong with the whole narrative. BP lied every step of the way. The U.S. Federal Government obviously let them get away with it. Even the concerned state governments responded in a manner that defied rational explanation. When George W. Bush and Tony Blair were negotiating their deal to commit an international war crime against Iraq, they had to come to terms, and quickly. The end result of their cattle-swapping was an extraordinary concession on the part of GWB in order to secure cover from the Brits to illegally invade a sovereign nation (for their oil), as though the Blair Administration could offer legitimacy for anything. The final deal gave BP an extremely generous and enormous stake in oil leases all over offshore America, especially in the Gulf of Mexico in those areas with the most proven oil reserves. BP also received extraordinary concessions to do drilling and exploration in high-compression prospects, as well as the green light to drill at depths that the industry geologists knew were completely unsafe (i.e. the technology and equipment were simply insufficient to deal with the many likely contingencies). 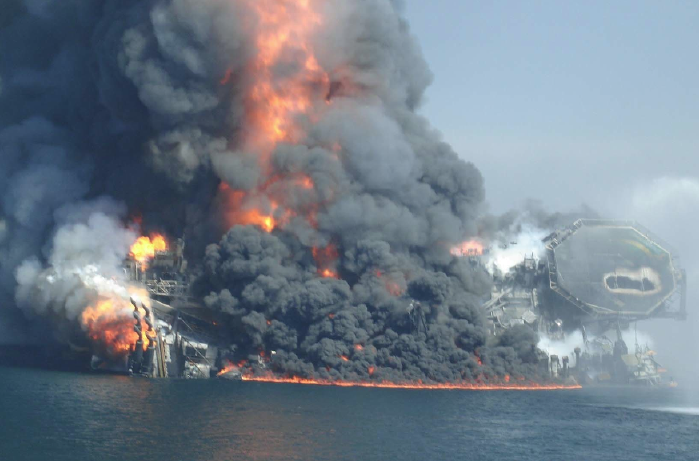 The whole BP Gulf oil spill saga was orchestrated from beginning to end. The dramatic burning and sinking of the Deepwater Horizon in the Macondo Prospect and subsequent gushing well were permitted to happen and so capture the attention of the entire world. Who was not glued to their TV while the GOM oil volcano gushed hydrocarbon effluent into the Gulf for 87 straight days? The real point here is that there appears to be a deliberate agenda of outright environmental destruction at work. In other words the BP spill was a classic MIHOP operation. It was conceived in the very bowels of the NWO capitals of the world and executed by those corporate and state entities which were chosen to do the dirty work. Fouling the Gulf of Mexico with massive amounts of hydrocarbon effluent and highly toxic dispersants like Corexit was the real goal, not the result of a mishap. Only by correctly understanding the “Report From Iron Mountain” can the strategy for deliberate environmental destruction across the planet be properly understood. The new bogeyman of the future is not the jihadi terrorist, it will be the threats to Earth’s environment. Anything that puts the viability of the biosphere in jeopardy will be considered the ultimate enemy of the human race, as it should be. Except that BIG bogey men like Global Warming are actually geoengineered into place … … … all over the planet 24/7. In fact, chemical geoengineering is the now single biggest threat to the global village as it radically alters weather pattern and climate trends the world over. Truly, the greatest manmade environmental catastrophe humanity has ever faced is the global climate change chaos that now assails every continent. This ongoing calamity is also responsible for causing the most pervasive public health disaster ever experienced by this tract of humanity. Only by comprehending the true intent behind Agenda 21 and the 2030 Agenda for Sustainable Development will the researcher come to appreciate the ultimate objectives of the U.N. blueprint for the formation of a One World Government. Both of these longstanding endeavors seek to exert complete control over every sovereign nation. The IPCC was in fact created in order to promote their Global Climate Change narrative in every nook and cranny on Planet Earth. To a great extent this gimmick has thus far worked, although many are now aware that the climate change has been manufactured by the global chemical engineering programs in tandem with space-based HAARP stations. At the end of the day manmade climate change, not from anthropogenic CO2 generation, but rather that caused by geoengineering will be known as the worst manmade environmental catastrophe in human history. Yes, it is that pervasive, profound and perpetual in its damage to the biosphere. What’s worse is that very few know about it. Only because of this lack of awareness is the NWO cabal able to poison the skies of the world with virtual impunity … until now! Government has proven itself to be thoroughly inept in dealing with each and every one of the major disasters identified above. Governmental actions have even exacerbated most of them. A pattern inaction and inexplicable neglect has also contributed to their lack of effective remediation. In the case of geoengineering global climate change, the NWO cabal and participating governments have given away their real intentions. Some feel strongly that it is an attempt to cull the global population since the ruling elites have, at various times, have called for a sharp reduction in the number of people inhabiting the planet. Others have determined that chemical geoengineering is dispersing massive amounts of aluminum and other chemicals by which specific diseases are being triggered. 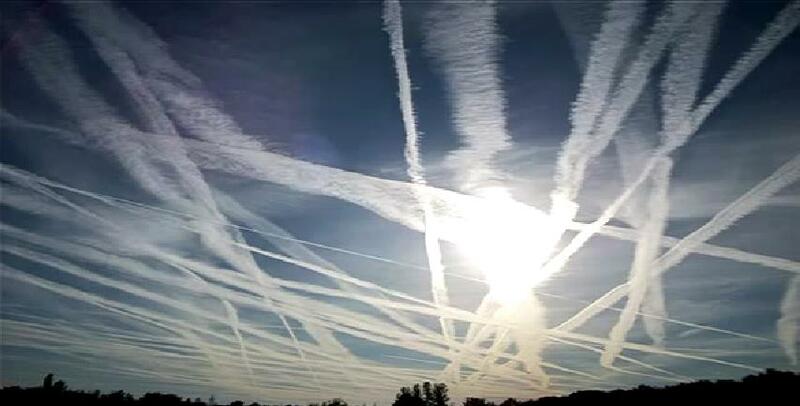 Still others have expressed the scientific fact that destructive frequencies are being systematically conveyed through the chemtrailed skies in order to run massive mind-control programs on whole national populations. The penultimate purpose behind these and so many other worsening catastrophes is to so terrorize humanity that it will surrender its God-given rights and freedoms in favor of protection from so many fabricated, but VERY convincing enviro bogeymen. 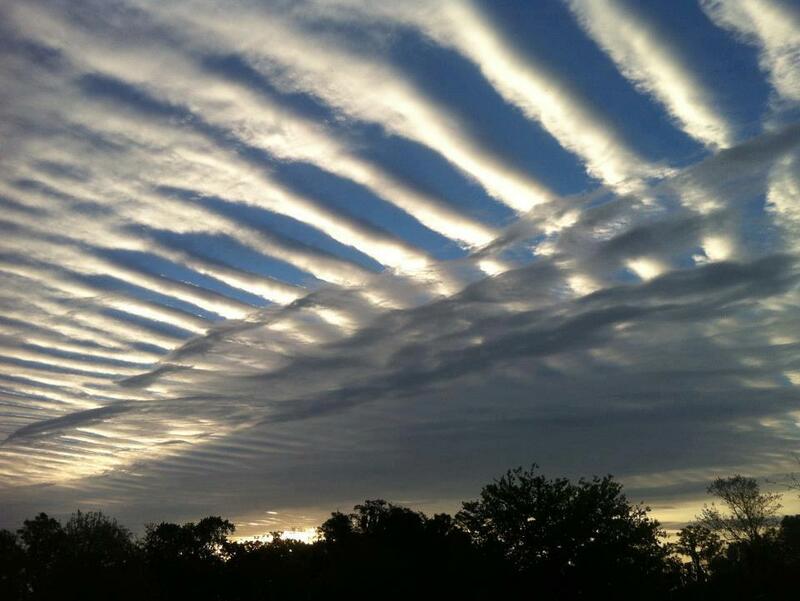 Hence, the $64,000 question concerns when will humankind wake up to this sham of geoengineered biospheric degradation. Certainly it is taking place at warp speed, but who and what is really causing it and why? These questions must be seriously considered by every resident of Planet Earth if there is to be a meaningful response to this misguided enterprise to control every cubic inch of land, water and air.